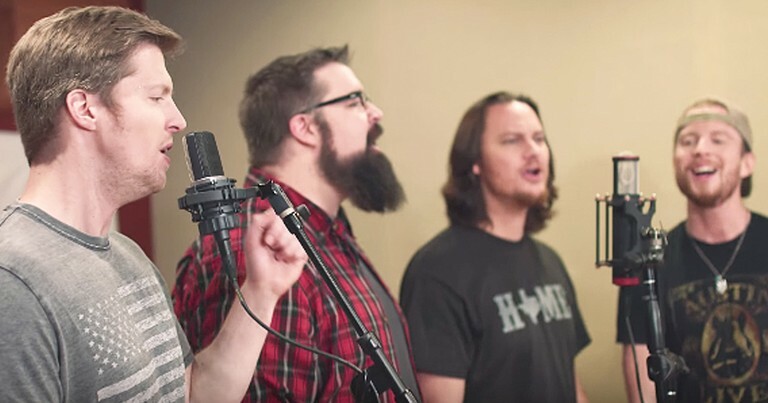 The a cappella men of Home Free always blow me away with their amazing voices. Today, they are using their talent for a good cause. The group is raising money for hurricane disaster relief. They're dedicating this beautiful recording of 'God Blessed Texas' to all Texans affected by Hurricane Harvey. The hurricane brought massive devastation to the southern Texas, but the way the community has banded together through this tragedy has been amazing. I'm so grateful these men are using their vocal talent to comfort hurricane survivors. God bless Texas!